“These commitments relate to the very start of the supply chain, activity which largely takes place overseas”, explained Ms Sophi MacMillan, Chief Executive of the Vinyl Council of Australia. “Collecting the relevant information from upstream suppliers can be a real challenge for Australian-based companies at the end of the supply chain”. One of the Program’s measures of success is for 80 percent of Signatories to achieve compliance with at least 80 percent of relevant commitments in the Program. 2013 has seen significant progress against this milestone, with a 19 percent jump from 2012 in the number of Signatories reaching or exceeding the target. Almost two-thirds of the Program’s Signatories met or surpassed the 80 percent target, with eight Signatories achieving full compliance. 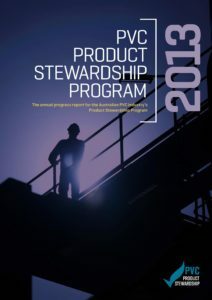 To recognise their efforts, the past year has also seen the introduction of an award for Product Stewardship Program Excellence given to those Signatories that achieve full compliance against the Program’s commitments. 2013 saw the official launch of the PVC Recovery in Hospitals program, an initiative aimed at diverting high quality, recyclable PVC medical product waste towards recycling solutions. The Program is proving to be of much interest in the sector, with 19 healthcare facilities signed on and an estimated 13 tonnes – or 91 cubic metres – of waste diverted during its first year of implementation. 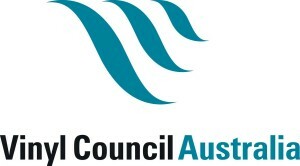 One recommendation of a recent five-year review was to strengthen commitments around waste reduction and management. As a result, new recycling measures and targets for the PVC sector will become part of the Product Stewardship Program in 2014.